TalkIT provides VB training in Bath, Bristol and around the U.K. 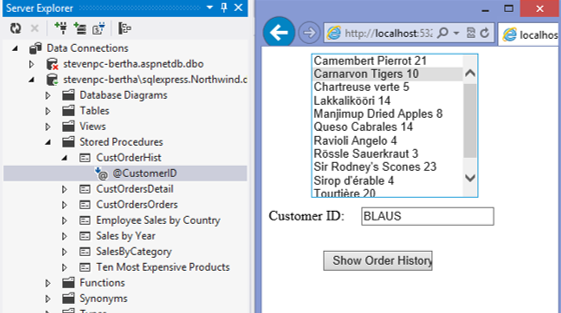 Create a string to get rows from the Employees table. 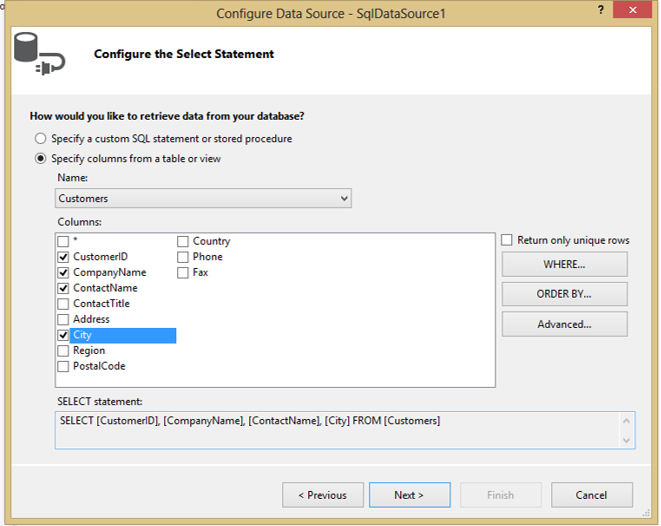 Use a SQL SELECT statement.Dim queryString As String = "SELECT CustomerID, CompanyName FROM dbo.Customers"
In the Page Load event add code to create a new connection using this connection string: "Data Source=. 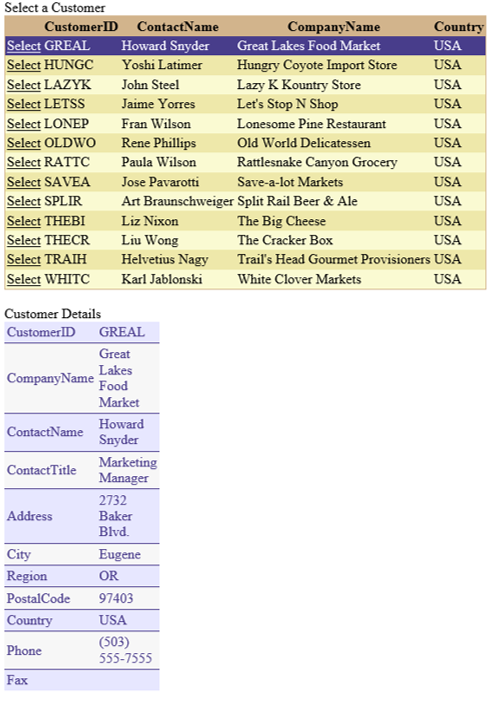 ;Initial Catalog=Northwind;Integrated Security=True"
Instantiate the SqlDataAdapter using the connection and this SQL statement: "SELECT CustomerID, CompanyName FROM dbo.Customers"